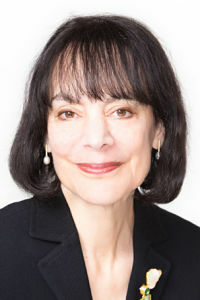 Carol Dweck, the Lewis and Virginia Eaton Professor of Psychology University and author of the 2006 bestseller Mindset: The New Psychology of Success, will receive the 2019 SAGE-CASBS award at the March 14 ceremony at the Center for Advanced Study in the Behavioral Sciences (CASBS) at Stanford University. At the ceremony Professor Dweck will give a lecture beginning with her landmark research on the fixed and growth mindsets, then will move to research practices that teachers, parents, and employers can use in real-world settings, and concludes by integrating her findings with recent research in neuroscience and the psychology of learning. To attend this free event, RSVP today at the SAGE-CASBS website HERE. Carol Dweck’s career has been devoted to understanding how to help people, particularly young people, fulfill their untapped potential. Her work has special resonance in today’s society, as we struggle to understand the kinds of experiences that will prepare people for life and work in the modern world. Dweck’s 2014 TED Talk based on her book has also been viewed more than eight million times. Other past winners are psychologist and Nobel laureate Daniel Kahneman, sociologist and education rights activist Pedro Noguera, and political scientist and former U.S. Census Bureau director Kenneth Prewitt.